The Suffolk native is director of TCC’s Academy for Nonprofit Excellence. 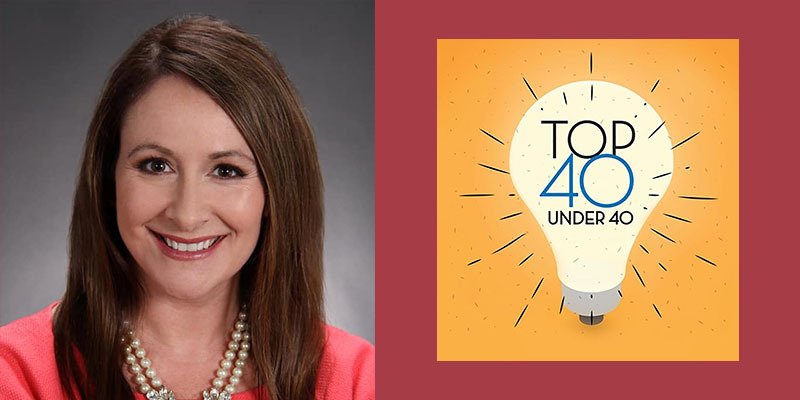 Tidewater Community College’s Amanda Lloyd has been named a Top 40 Under 40 professional by Inside Business. Lloyd, 35, became director of TCC’s Academy for Nonprofit Excellence last February. The award recognizes professionals whose work and volunteer efforts make Hampton Roads a better place to live. Funded by the Hampton Roads Community Foundation, the academy offers relevant, budget-friendly training on leadership and management topics to nonprofit and aspiring nonprofit professionals. The Suffolk native and graduate of Lakeland High School taught humanities and history classes at TCC prior to being hired for her current role last winter. She aspires to be a college president, having been passionate about higher education for most of her life. She is a first-generation college graduate. Lloyd previously worked in multiple administrative positions for the City of Norfolk prior to coming to TCC. Her achievements include creating the Norfolk Public Library citywide volunteer program, a model effort duplicated by additional libraries across the nation. She is a member of the Norfolk Public Library Board of Trustees as appointed by the mayor and City Council. The graduate of Longwood University holds a position on its alumni board and is president-elect for the Junior League of Norfolk – Virginia Beach. She sits on the Women’s Center Advisory Council and Board at TCC and is an alumna of LEAD Hampton Roads and Emerge, Virginia. Lloyd, who holds a master’s in humanities from Old Dominion University, is currently at work on a doctorate in higher education management at Hampton University. A Norfolk resident, she and husband Matt have two sons, William, 5, and Owen, 3. Lloyd will be honored at the Top 40 Under 40 banquet on Oct. 23 at the Norfolk Waterside Marriott. She will be profiled with the other winners in an Oct. 22 special edition of Inside Business.